This post continues to address the question posed in Part 1: Do digital technologies actually help students learn English? I pose two more statements and consider some related research for each. Both Part 1 and this post are based on a 30-minute talk that I gave at the recent IATEFL (International Association of Teachers of English as a Foreign Language) conference held in Glasgow in March 2017. The research cited below is from my recent book Focus on Learning Technologies (Oxford University Press, 2016). The study compared the use of mobile devices out of the class to support vocabulary acquisition with a paper-based in-school-only control group. All the students were given a classroom lesson about zoo animals, and then divided into three groups: a control group of 29 students, and two experimental groups of 24 and 22 students respectively. The two experimental groups then visited a zoo, and used smart phones with a preloaded app to guide their zoo visit. The app used GPS tracking to guide the children to different animals during the zoo visit, and provided information on each animal in context. 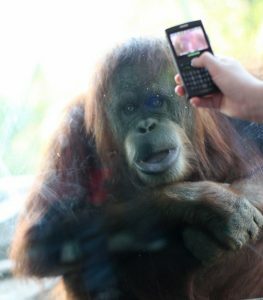 The experimental group of 24 students had access to the smart phones only while at the zoo; the second experimental group of 22 students were allowed to take the phones home for two weeks, and had access to a set of five additional games on the phones: a spelling quiz, a yes/no game, a memory game, a multiple-choice quiz, and a jigsaw puzzle. Once the student had chosen a game, the app played a short video about an animal, and the student then needed to use the information in the video to successfully complete the game. Post-test scores on a 50-word vocabulary test showed gains in vocabulary acquisition for all the groups, with the students who took the mobile phones home performing best. However, there was no significant difference in post-test scores between the control group (who received classroom instruction only), and the experimental group who used the smart phones in the zoo, but did not take them home. The researchers suggested that the additional time spent working with learning materials by the group who took the phones home – an average of 1.5 hours per student – was the defining factor that improved their learning outcomes in this study. It appears that this group was motivated by the additional games in the app, but the researchers also reported that the amount of time students spent using the app significantly decreased over the two weeks, suggesting that as the novelty of the content wore off, motivation and engagement with the learning materials decreased. (Focus on Learning Technologies, pages 82-83). The ‘zoo’ study above seems to show that motivation is a key element in keeping students engaged with learning content, and that it is difficult to assert that multimedia content alone, or the use of a specific technology device (however modern), will automatically lead to improved learning outcomes. What about the same activity done via technology and on paper? Can we see any difference in learning outcomes there? A study by Hung, Young, and Lin (2009) explored the effect on vocabulary acquisition of a crossword game played on a tablet computer compared to the same game played by students with pen and paper. In a class of 32 Taiwanese primary school EFL students, half the class used the tablet computers, and the other half used pen and paper. The researchers found no significant differences between the two groups, although learning outcomes, motivation, and attitude improved for all the students, and especially for lower achieving students. 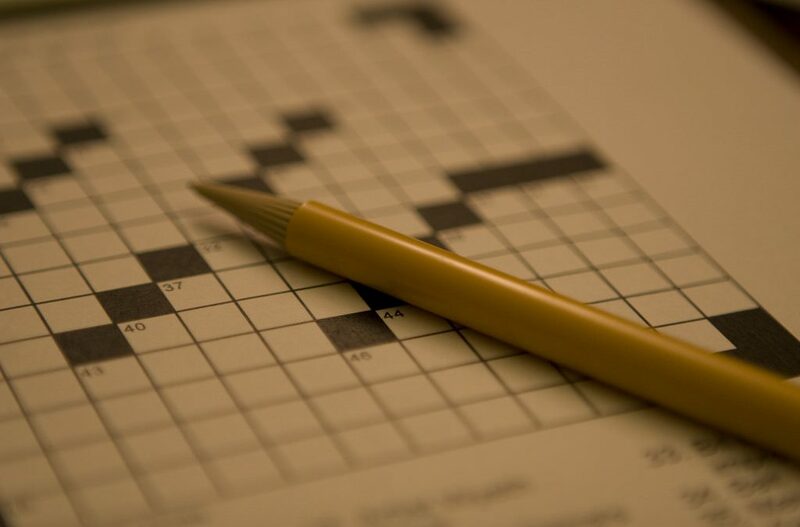 In this case, the design of the activity (a crossword puzzle) appeared to be the main motivating factor that led to improved learning outcomes, not the tablet technology. (Focus on Learning Technologies, page 83). These are just two studies, but they provide a welcome counterpoint to the often uncritical and relentless cheerleading of digital technologies. I’m an educational technologist myself, but it is important that we question technologies, look at the evidence, and champion the effective rather than uncritical use of technologies. Let’s also not forget the issues involved in research in our field (mentioned in Part 1) – small sample sizes, lack of replicability, questionable research design, contextual factors, research bias, publication bias… My next post will explore these and their implications. Hung, H-C., Young, S., & Lin, C-P. (2009). Constructing the face-to-face collaborative game-based interacted environment for portable devices in English vocabulary acquisition. In A. Dimitracopoulou (Ed. ), Proceedings of the 8th International Conference on Computer Supported Collaborative Learning (pp. 370-5). Rhodes, Greece: University of the Aegean. Sandberg, J., Maris, M., & de Geus, K. (2011). Mobile English learning: An evidence-based study with fifth graders. Computers & Education, 57, 1334-47. Additional resources (e.g. book sample, discussion questions) for Focus on Learning Technologies can be found on the OUP companion website for the book. I found that the use of teaching technology has both strengths and weaknesses as it integrates many teaching components such as pronunciation, … but it is also very easy to make people We lose focus.